Blog posts vs. Pages Novice Novice tutorials require no prior knowledge of any specific web programming language. WordPress includes different content types. Blog Posts and Pages are two of them. As a beginner, you are probably interested what is the main difference between them? Blog Posts vs. Pages: Which one should i choose? If you're new to WordPress, you might be a little confused about the difference between blog posts and pages. Blog posts and pages serve a specific purpose to add relevant content to your WordPress website. So, which one should you use? Blog Posts are content entries chronologically arranged on your website. 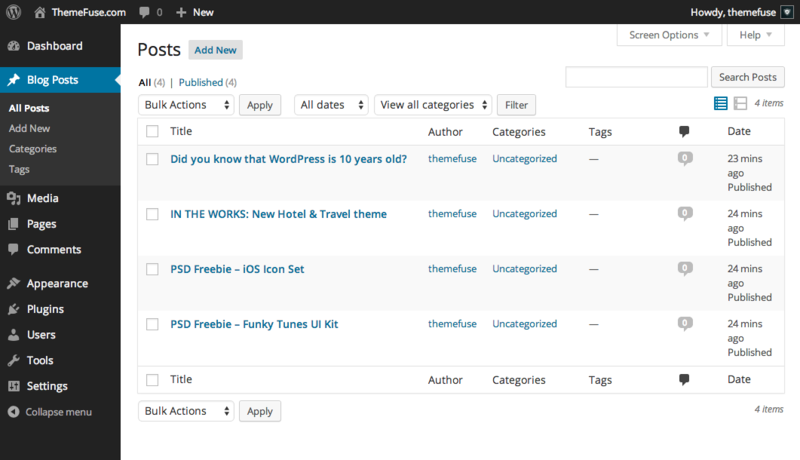 Blog posts can be displayed in the Archives, Categories, Recent Posts, and widgets. The blog posts can be viewed in the RSS feed of the blog and they have a built-in commenting feature that allows visitors to comment on your blog posts. Pages are static and not listed by date. About Us, Contact Us, Terms of Service pages usually are (classic examples) included in this category. They are not displayed in your RSS feed. Pages do not have the purpose to be social and thus they do not include the comment section. Blog posts are timely vs. Pages are timeless. Blog posts can be categorized vs. Pages are hierarchical. Blog posts are included in RSS feed vs. Pages are not. Blog posts are social vs. Pages are not. Pages have custom template feature vs. Blog posts do not. How many blog posts/pages can i have? There is no limit on the number of blog posts or pages you can create.